The College of St. John the Baptist in the Dominican Republic has erected a sign banning the U.S. Ambassador to that country from entering the campus. 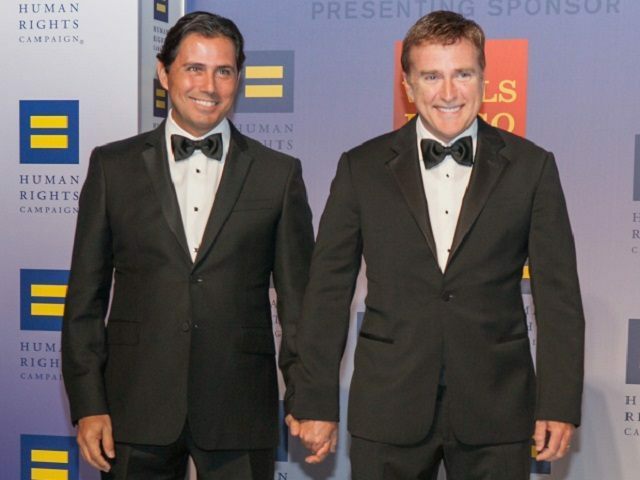 In recent days the Catholic Bishops of the Caribbean country sent a strong letter condemning the behavior of the openly gay U.S Ambassador, who has been using his post to promote his lifestyle and the homosexual agenda. Brewster, often in the company of his “husband,” is charged by the Bishops with not only pushing the homosexual agenda on the largely Catholic country but disparaging Dominican customs and violating the country’s constitution and international law. Besides being Ambassador to the Dominican Republic, James Brewster is also a noted gay activist serving as National NGBT Co-Chairman of the Democratic National Committee along with serving as director of the anti-Christian Human Rights Campaign. Moreover, the work of Brewster comes with the strong endorsement and even official approval of the U.S. State Department that in 2011 made homosexual and transgender rights a key component of U.S. foreign policy.